The perfect balance of straight lines and curved edges. Deep, dark finish is brought to life with a golden dry-brush effect. 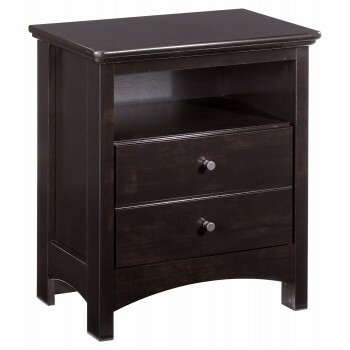 Simple pewter-tone knobs make this nightstand a contemporary masterpiece.